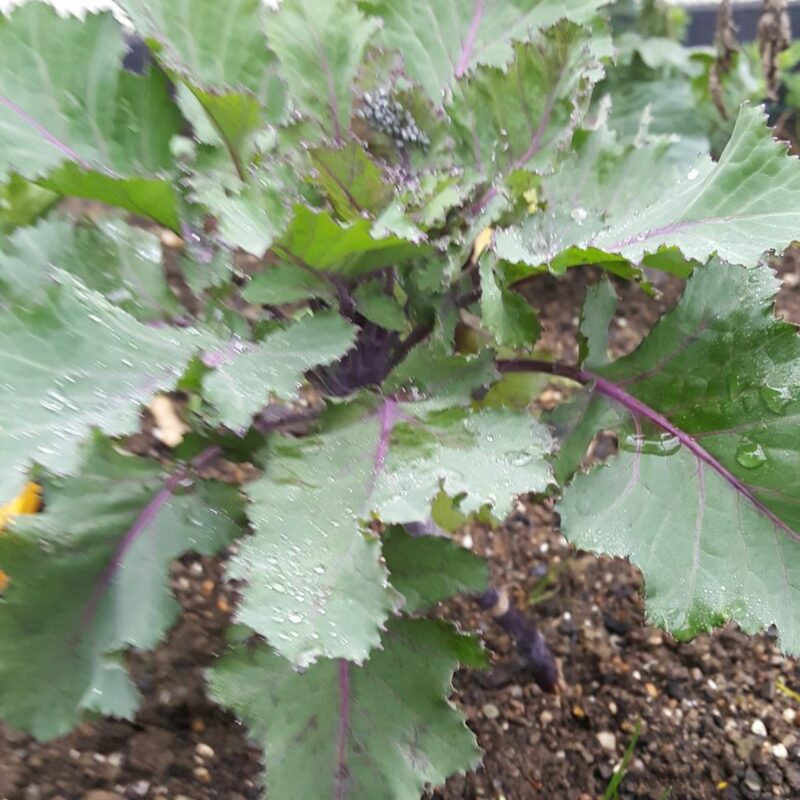 This week we are taking a look at the vegetables that are currently growing here at the cottage. It’s been an odd winter and milder than most so everything is currently looking a bit leafy here. I confess that in December my lack of constant care in the greenhouse had an effect on plant growth. 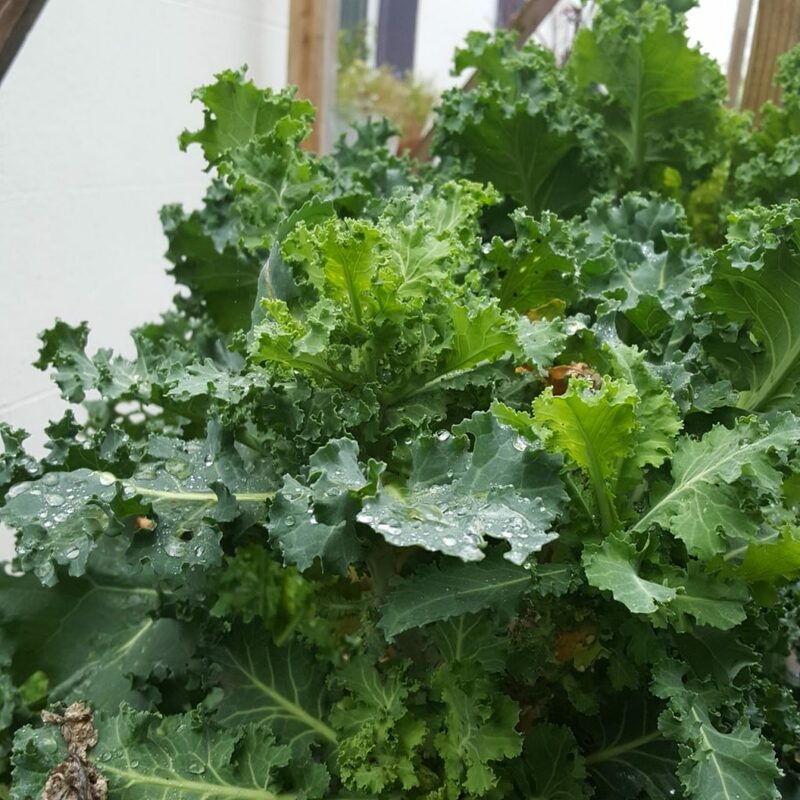 We always have Kale growing at the cottage and this is a perennial crop that was meant to be an annual but it never dies and I’ve never pulled it out. I just top it and it comes back stronger and healthier. These seeds i got from a friend at an allotment so I’m not too sure of the variety. I over wintered these. I have never done that before but I planted them late and there was a period where they stopped growing but because of the mild weather they have taken off again. There was a bit of a massacre out there this morning as I found these root fly which all appeared in the space of a week meaning I should have covered my dang brassicas but I forgot after the storm to go back out. Take this as a warning. 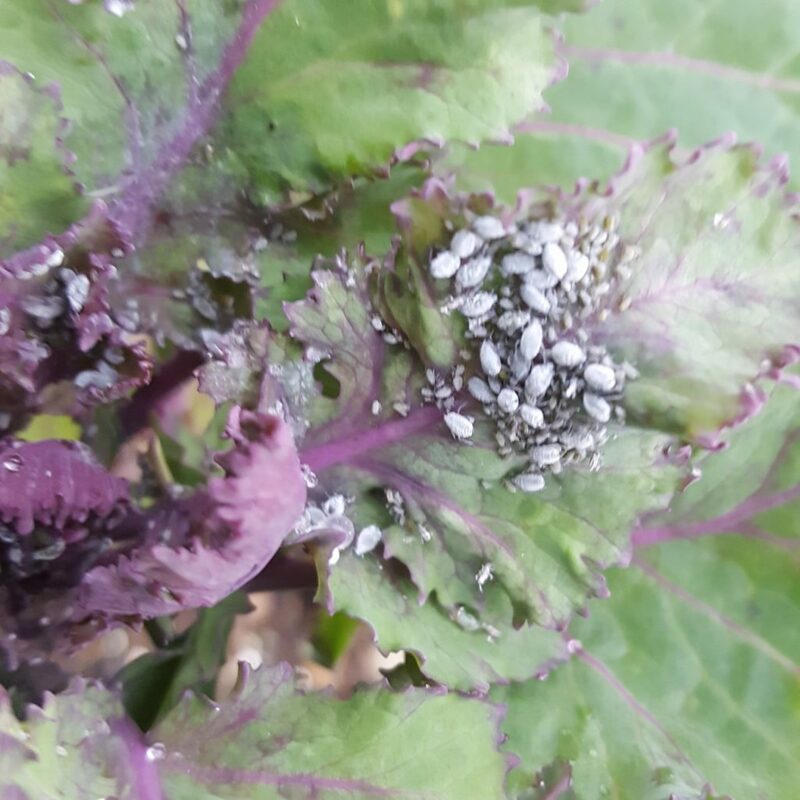 Cover your brassicas! 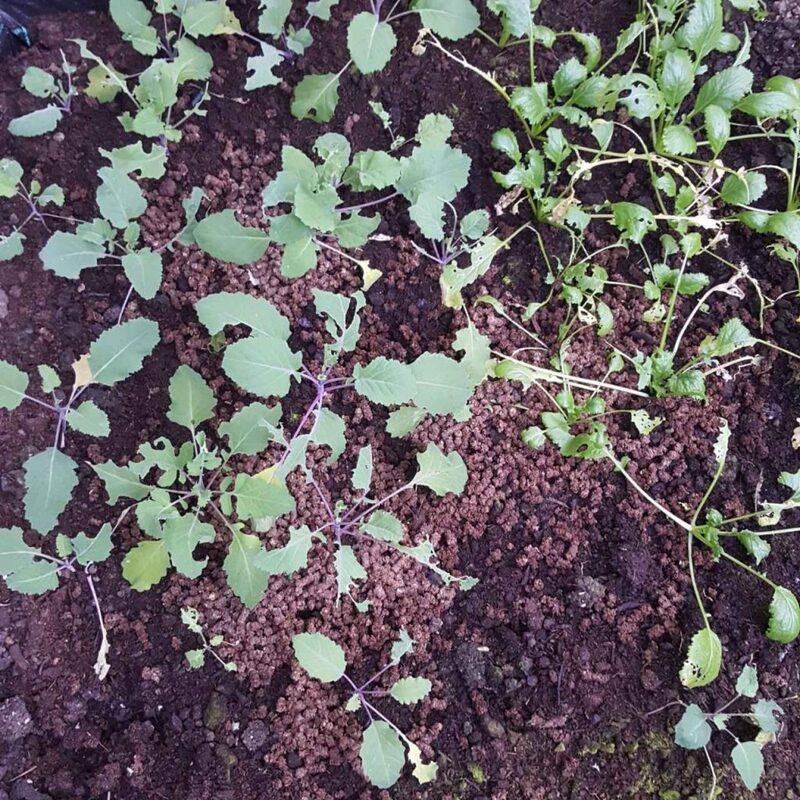 I always have a salad bed either indoors or outdoors even in winter. 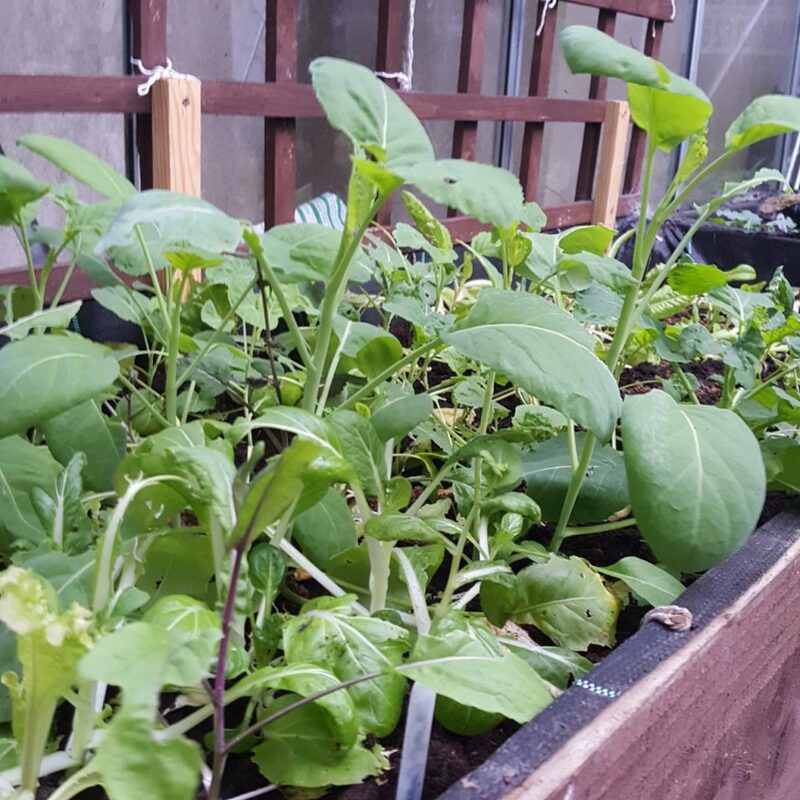 I was rather worn out in October so I just shook a seed packet over the bed after I turned it over and I thinned it out once and here we are lots of tasty salad leaves throughout winter. There is no need to tend it bar water and to check if anything is nibbling your plants. 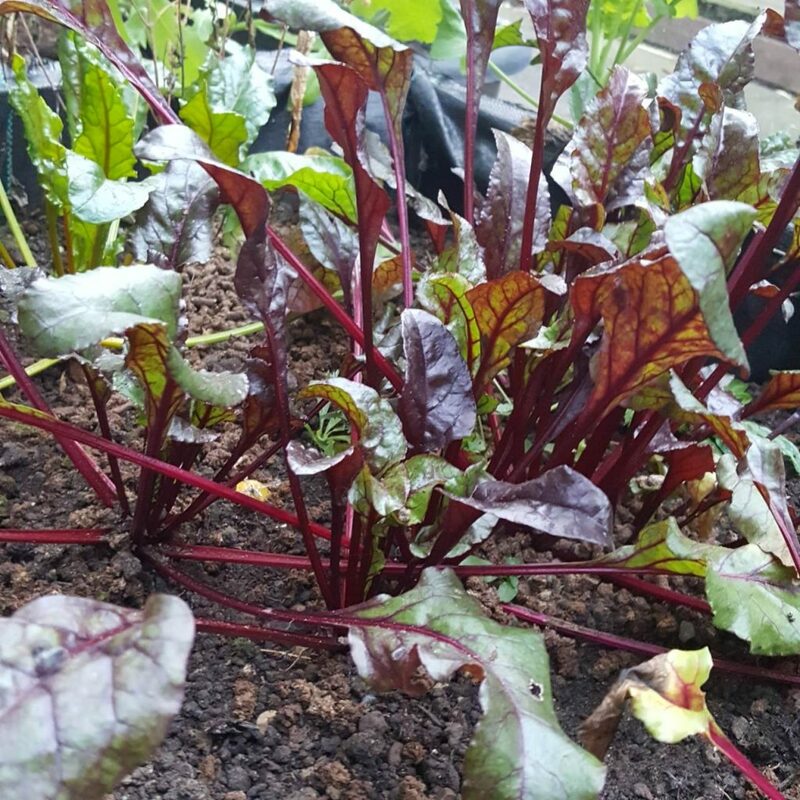 Yes, I overwintered my beetroot and because it has been so mild we are still cropping them either for the leaves or for the root. I do need to add a bit of magnesium to this bed but it has got me thinking about what to overwinter next year or grow as a main winter crop. These are the Tokyo Cross variety and you can tell I haven’t been looking after them as well as I should. There is clearly something hidden in my greenhouse nibbling my plants. I will find it – Liam Neeson style. I will definitely grow these again but I should have prepared the bed a bit better. I added some seaweed and top mix last week as you can see so I need to spread that around a bit but I was curing around my peach tree trying to reach so forgive my terrible spreading (hides face in hands). Here is something interesting to end this week’s post on. 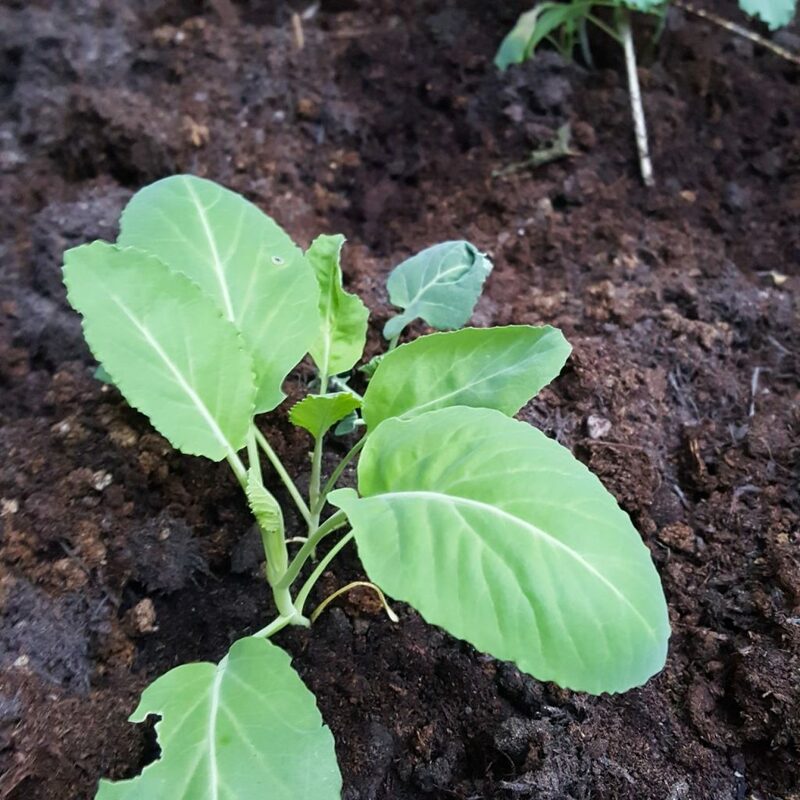 Here are some cauliflower plants that were planted at the same time the larger was popped outside in December and the second was kept inside the greenhouse. So I have to do another soil check too because I’d say my soil is in need of some conditioning in the greenhouse. That’s it from the cottage garden this week. Thank you for joining me in the garden. 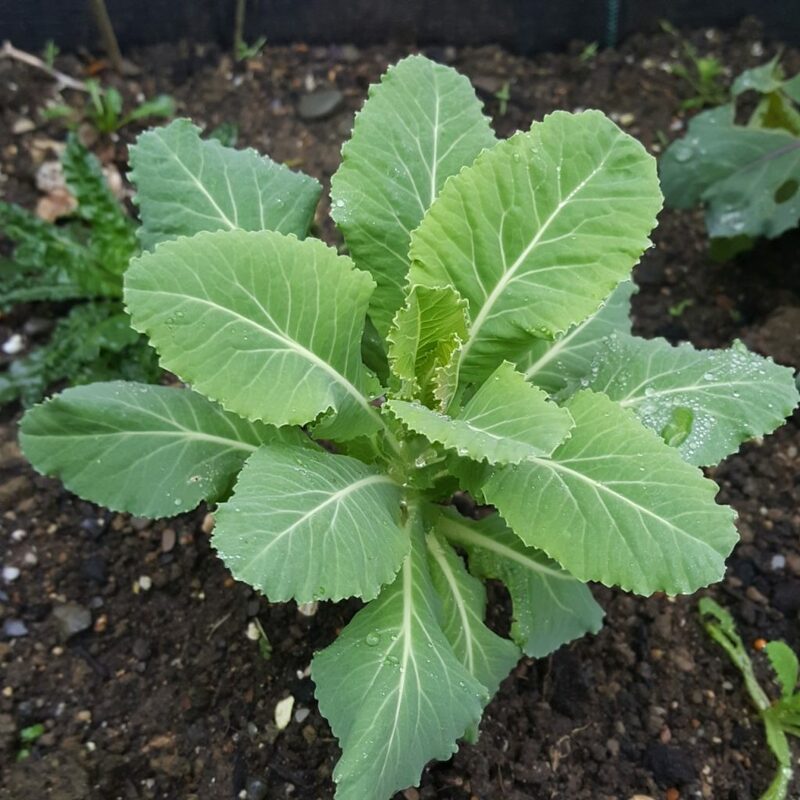 May your brassicas be clear and your veggies unnibbled. I hadn’t realised that Six on Saturday was a larger thing than just your blog. I fancy joining in myself – look out for pics that are far more untidy than yours of my garden this Saturday on IG! Lots of veg action there! 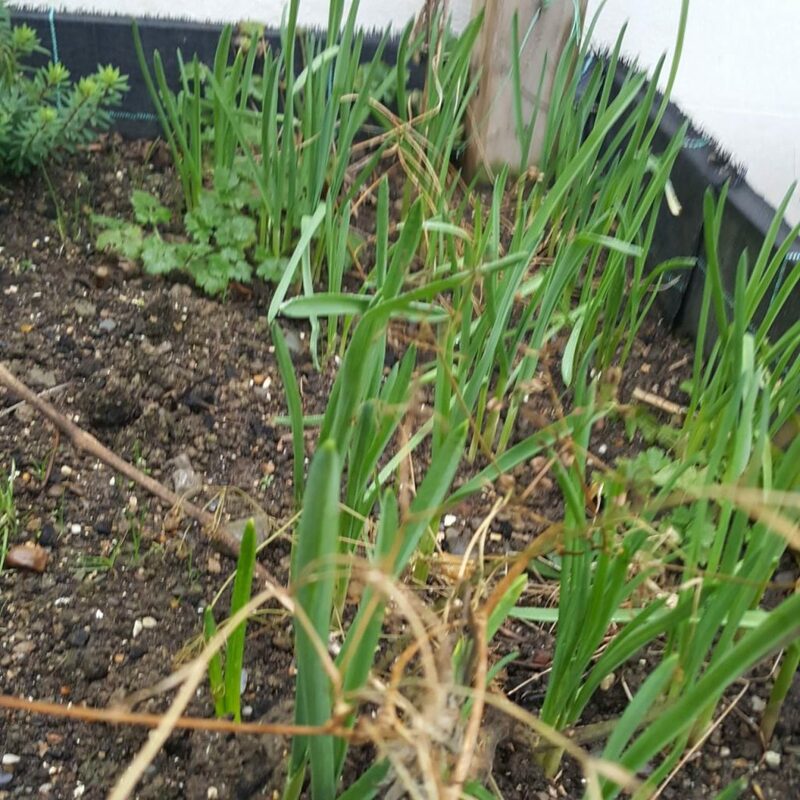 I just have garlic growing now, everything else is bare ground. Sowed my tomatoes this weekend…!